Grind Wireless delivers premium build and sound quality just like the wired version that inspired it. And like the original, it does it all without the premium price while also adding Bluetooth wireless listening and 12 long hours of battery life. For conveniently keeping you in control, it also has a built-in microphone and track, call, and volume controls built right into the ear cup. ALL-DAY COMFORT: Premium materials like the solid metal headband, plush on-ear pillows and Supreme Sound audio make slipping into Grind Wireless a stupefyingly comfortable experience. ALL-DAY CONVENIENCE: Life should be easy, so the built-in controls on Grind Wireless are dead simple. Play and pause music, answer and end calls, skip tracks and adjust volume with just three buttons. 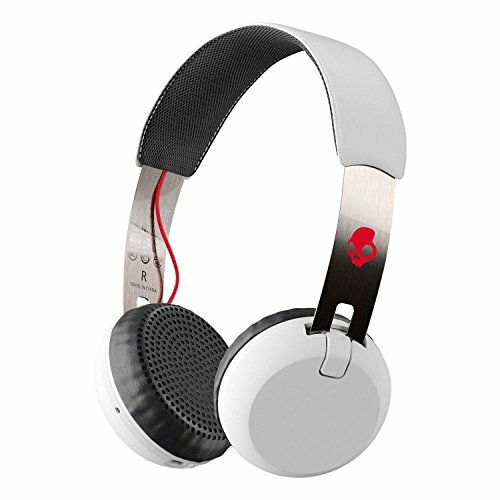 SUPREME SOUND: 40mm audio drivers tuned with Skullcandy's Supreme Sound make all types of music sound equally impressive. BACK-UP AUX CABLE: If you've transcended the need to sleep and your 12-hour battery needs charging, just plug in the included AUX cord with microphone and remote and never miss a beat. If you have any questions about this product by Skullcandy, contact us by completing and submitting the form below. If you are looking for a specif part number, please include it with your message.